GTX provides street-tested, dyno-proven tune files developed by Bully Dog’s expert calibrators to unlock your vehicle’s true potential. 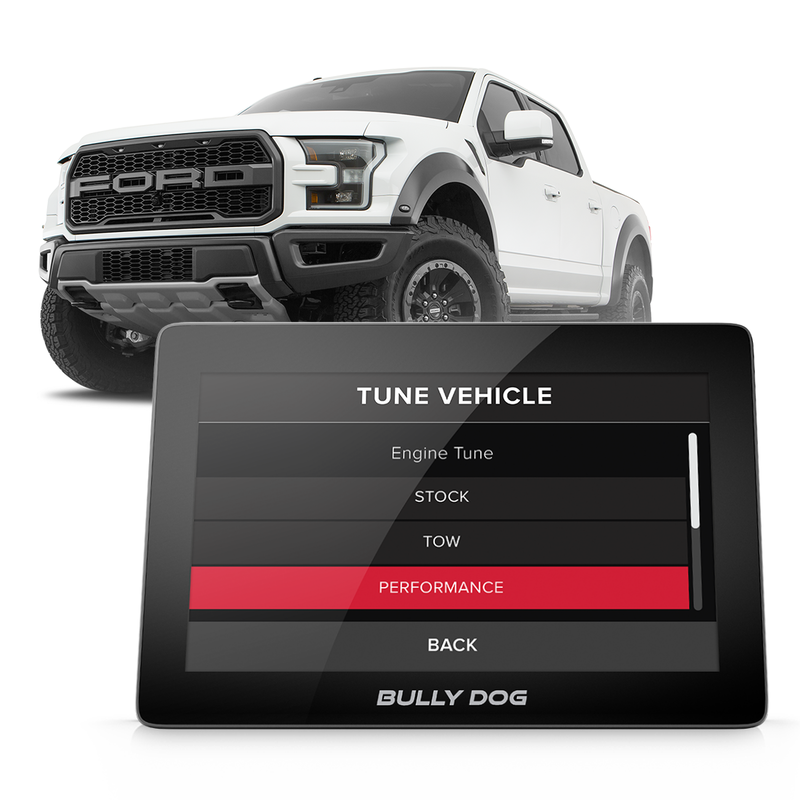 Select from multiple Bully Dog tuning levels or load up to 20 custom tunes files from one of our thousands of custom tuning dealers worldwide. Direct-to-device updates and tune delivery over WiFi means cables and computers are a thing of the past. 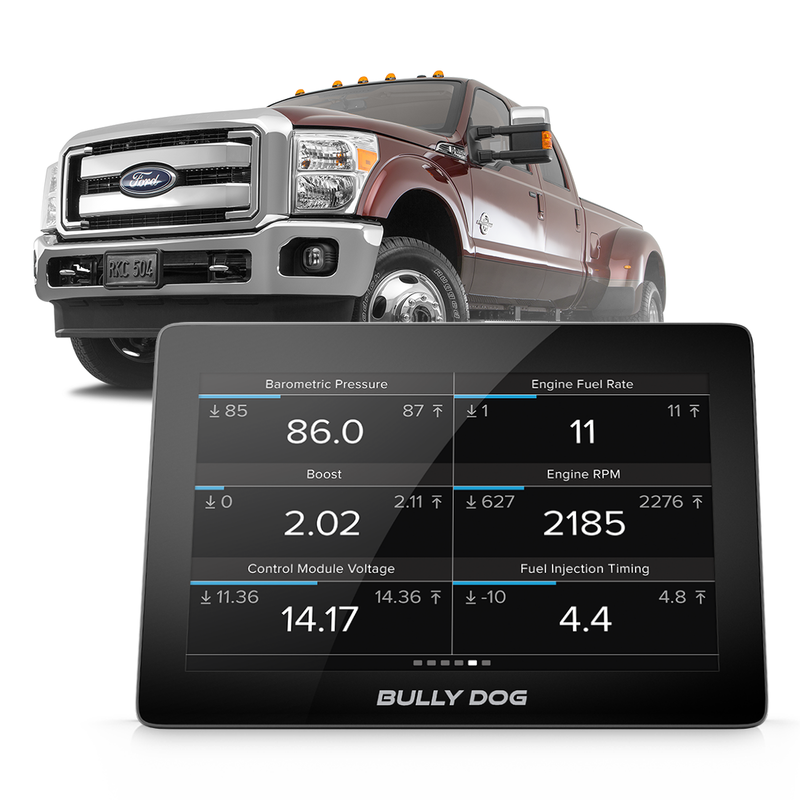 The lightning-fast GTX gives drivers the ability to monitor the industry’s most extensive list of PIDS, or engine parameters, in real time. Data logging capability makes it easy to record vehicle performance at 35 frames per second and play back later using Bully Dog’s free LiveLink software. GTX also doubles as a diagnostic tool with the ability to instantly read and clear diagnostic trouble codes, saving drivers a trip to the dealership. Further customize your GTX by adding additional sensors, using the integrated FireWire input. 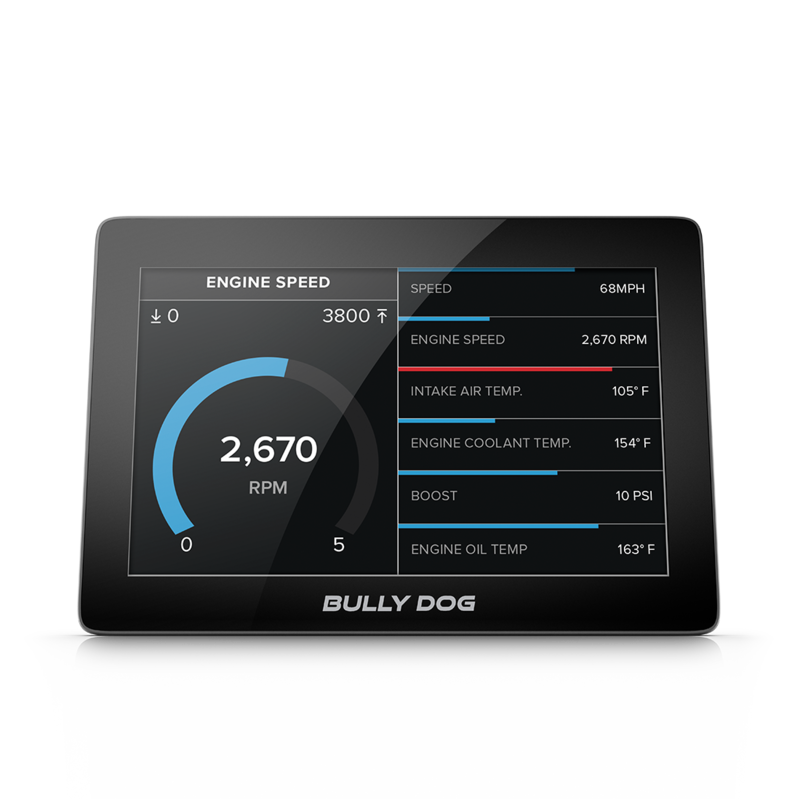 Bully Dog’s 5” capacitive glass touchscreen is the first of its kind. Graphics and gauges are displayed in brilliant HD color. A fully customizable user interface means the perfect gauge layout for your needs is available at the touch of the screen. Bully Dog’s GTX is performance tuning, reimagined - no computers necessary. It’s the easiest-to-use tuner on the market, loaded with powerful features and our most advanced hardware to-date. The new GTX Performance Programmer starts up in under 10 seconds and is super-responsive, sporting a 5-inch capacitive glass touch screen that rivals today’s smartphones. 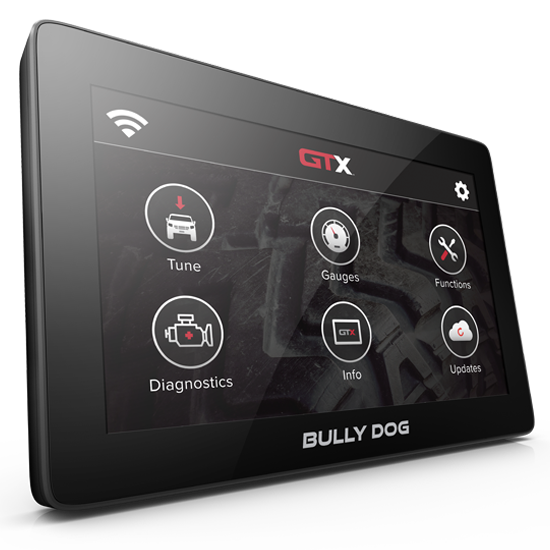 Along with the ability to hold 20 custom tunes, GTX comes preloaded with multiple Bully Dog tuning levels. 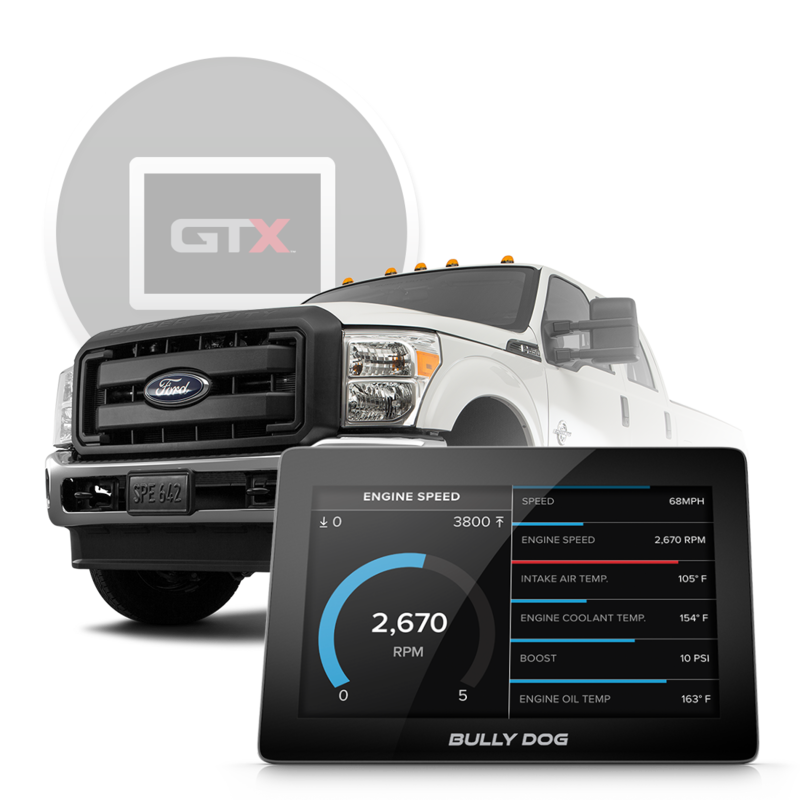 GTX is also the premier data monitoring solution, giving drivers the ability to monitor the industry’s most extensive list of PIDS, or engine parameters, on an easy-to-use device. Its high-resolution customizable gauges and WiFi connectivity add to the truly unparalleled user experience. 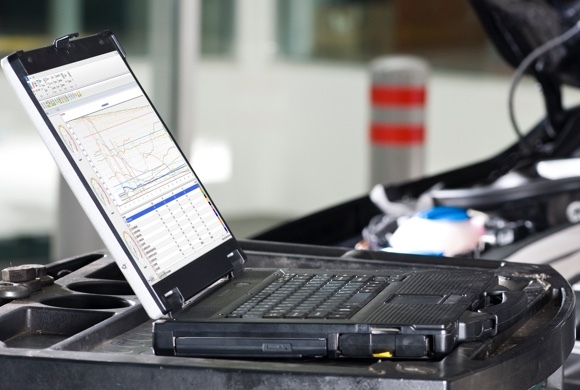 Drivers can log vehicle performance data as they drive, and play it back later using Bully Dog’s free LiveLink software. 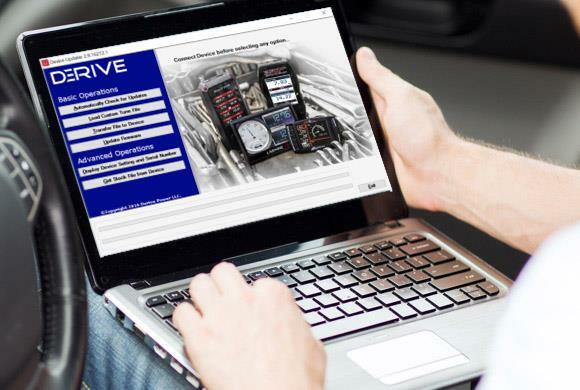 GTX also gives users greater insight into their truck by reading out and clearing Diagnostic Trouble Codes (DTCs). GTX’s unique grab n’ go magnetic mounting system allows the device to be kept front-and-center while driving, and then quickly stowed away when not in use. 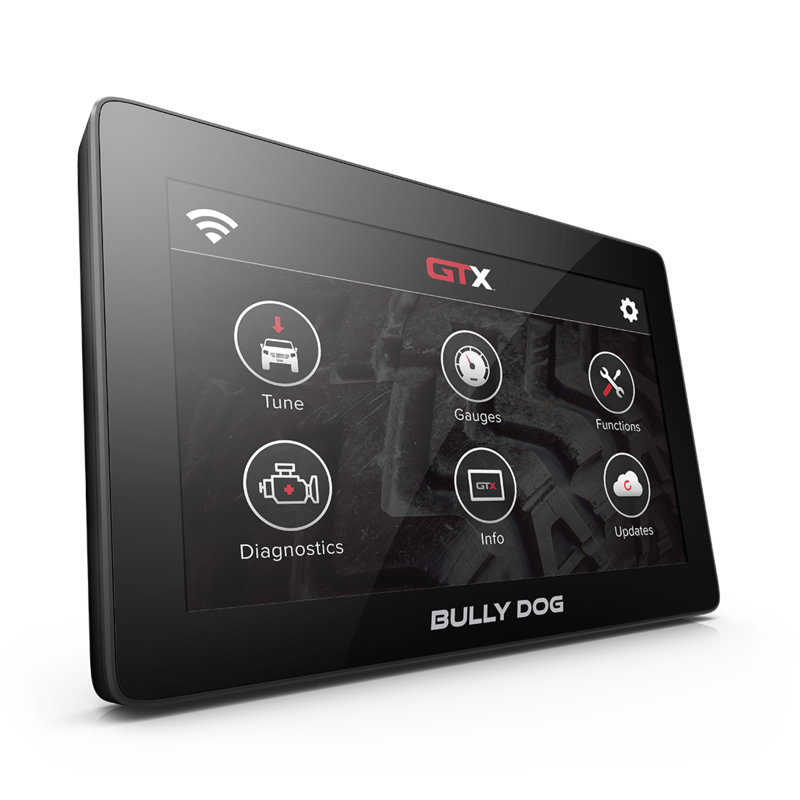 Finally, for those who want to take their truck to the next level, GTX can receive custom tunes via WiFi from any of Bully Dog’s custom tuning dealers around the country. 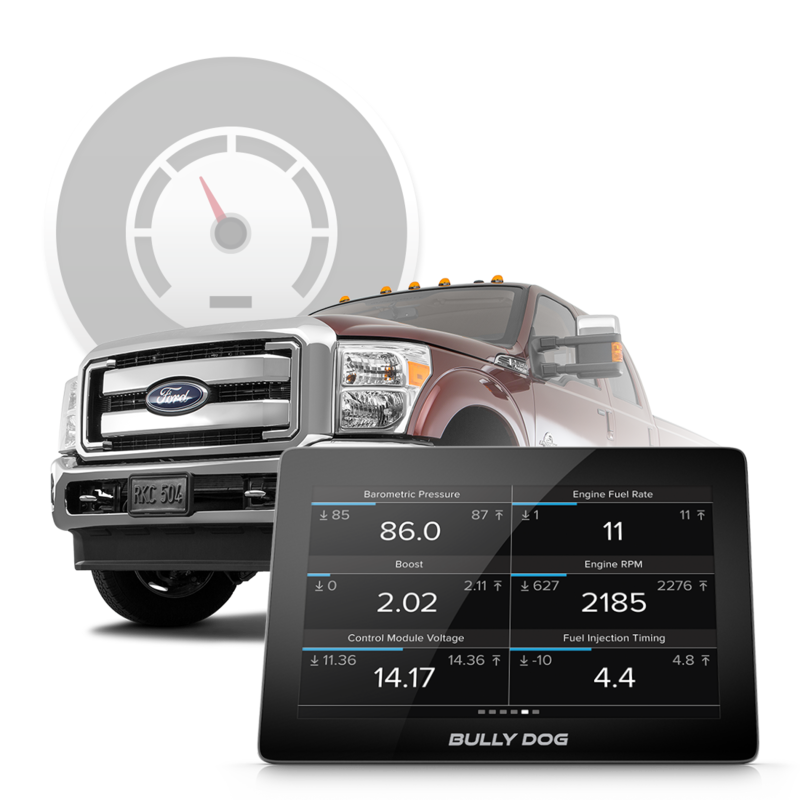 GTX delivers street-tested, dyno-proven tune files developed by Bully Dog’s expert calibrators to unlock your vehicle’s true potential. 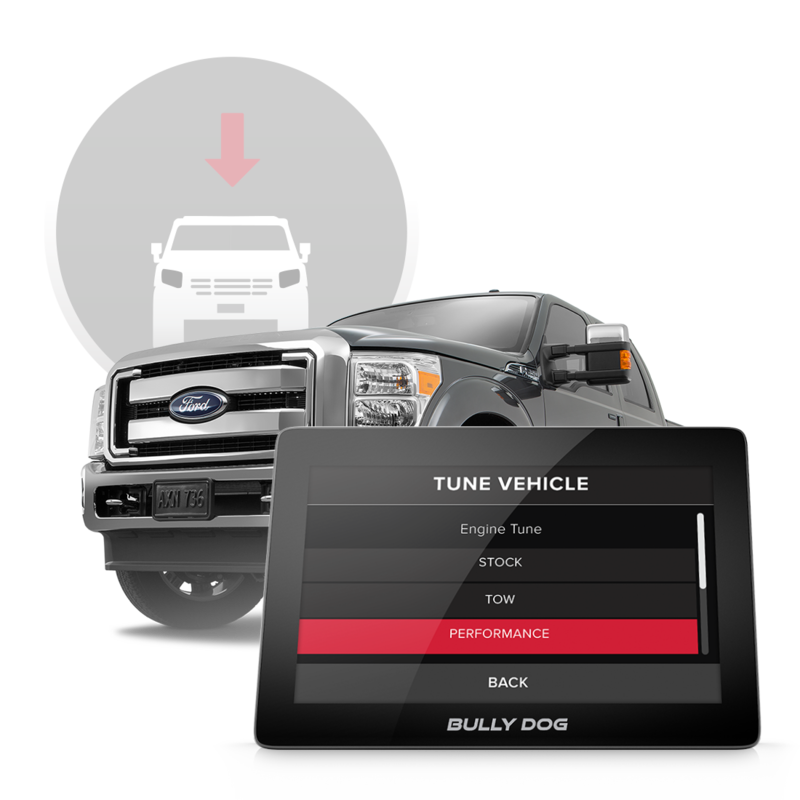 Select from multiple Bully Dog tuning levels or load up to 20 custom tunes files from one of our thousands of custom tuning dealers worldwide. Direct-to-device updates and tune delivery over WiFi means cables and computers are a thing of the past. The lightning-fast GTX gives drivers the ability to monitor the industry’s most extensive PIDS, or engine parameters, in real time. 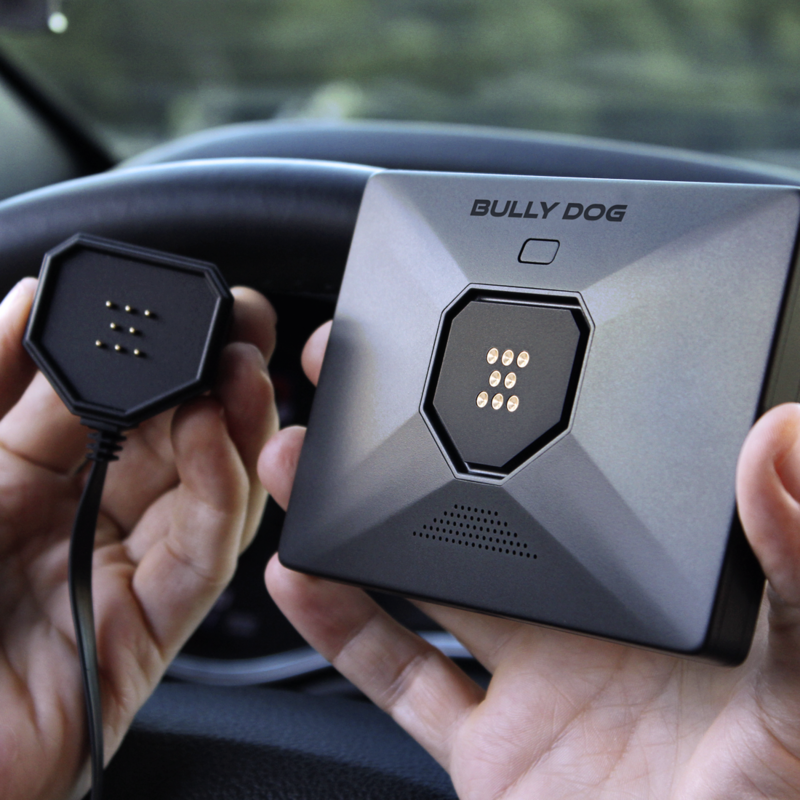 The device’s data logging capability makes it easy to record vehicle performance at 35 frames per second and play it back with Bully Dog’s free LiveLink software. GTX also doubles as a diagnostic tool with the ability to read and clear diagnostic trouble codes saving drivers a trip to the dealership. Further customize your GTX by adding additional sensors, using the integrated FireWire input. 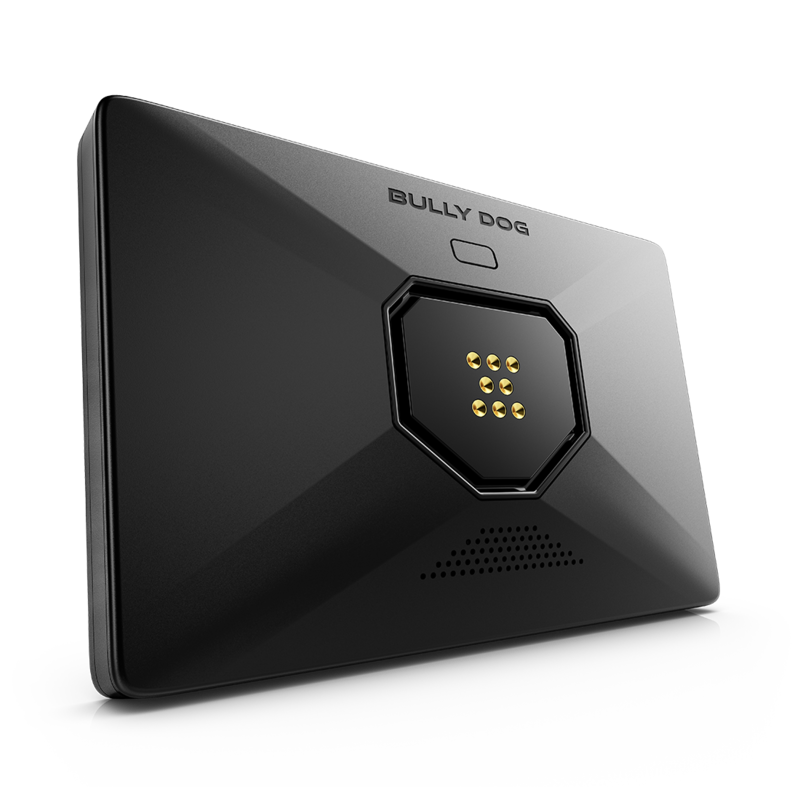 Bully Dog’s 5” capacitive glass touchscreen is the first of its kind. Graphics and gauges are displayed in brilliant HD color, rivaling today’s smartphones. GTX starts up incredibly fast (even when remote starting the vehicle), and provides an ultra-responsive user experience. A fully customizable user interface means your perfect gauge layout is available at the touch of the screen. GTX comes standard with a convenient “grab and go” magnetic mounting system, enabling drivers to keep their device front and center–and then stowed away in seconds.